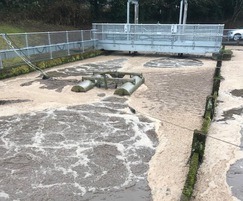 A major testing regime was carried out in the summer of 2015 at Welsh Water Weycocks Cross STW by the Welsh Water Innovation Group using Aqua Turbo® submersible aerators from Aquasystems International. At this time the plant operated four horizontal rotors in their two oxidation ditches but these were failing on a regular basis due to such issues as broken shafts, gearbox or motor failures. 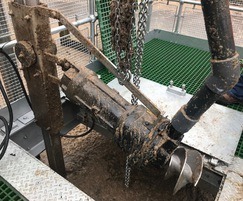 As the gearboxes were mounted on the shafts at very low levels in the ditches and below the bridges, maintenance engineers had to work below their feet in very difficult conditions to access the gearboxes and motors. Also, once a rotor failed, the plant struggled to meet DO and gearboxes had to be removed from site for repair. An alternative simpler method was required and the robust Aqua Turbo® aeration system was trialled. Welsh Water's Project Department designed and installed two Aqua Turbo® 7.5kW AER-SL aspirators complete with access platform and lifting frame. The major advantages of the Aqua Turbo® submersible aspirators are that they are direct drive, can be installed in situ without emptying the oxidation ditches and can be accessed for maintenance easily. The Aqua Turbo® units are robustly constructed and the special Screwpeller design does not rag up. The Aqua Turbo® AER-SL units can be run using inverters giving the client greater flexibility and control of the oxidation ditch process performance. Utilising the dissolved oxygen probes, the aspirators can run at various speeds during peak and low periods of operation, reducing energy costs. Maintenance of the Aqua Turbo®AER-SL is simple and can be carried out on site in situ and, with Welsh Water's excellent design of access platform and lifting frame, the 7.5kW units can be either replaced or maintained in a matter of a few hours without disrupting the site. 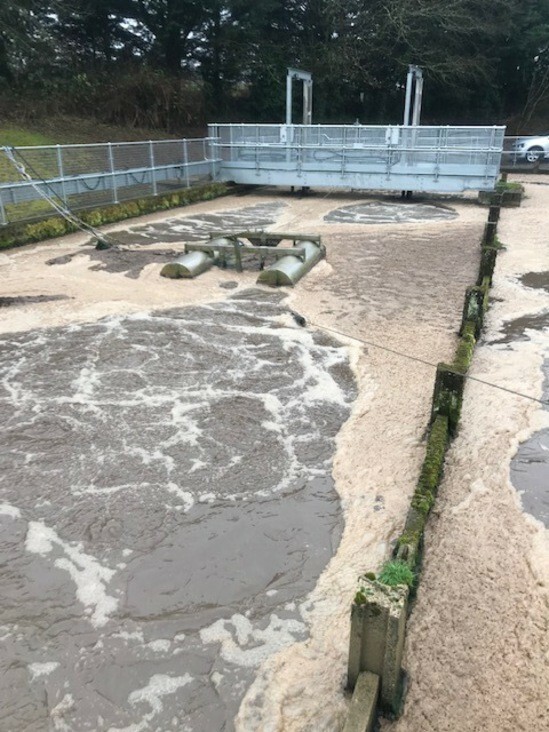 A spokesman for Welsh Water commented that all parties involved were extremely impressed with the performance of Aqua Turbo® AER-SL submersible aspirator units during this extensive trial by the innovation group at Weycocks Cross Sewage Treatment Works. Since the trial has completed, Welsh Water has utilised this design on several other oxidation ditch works and are looking to roll this out as a template design for future oxidation ditches.